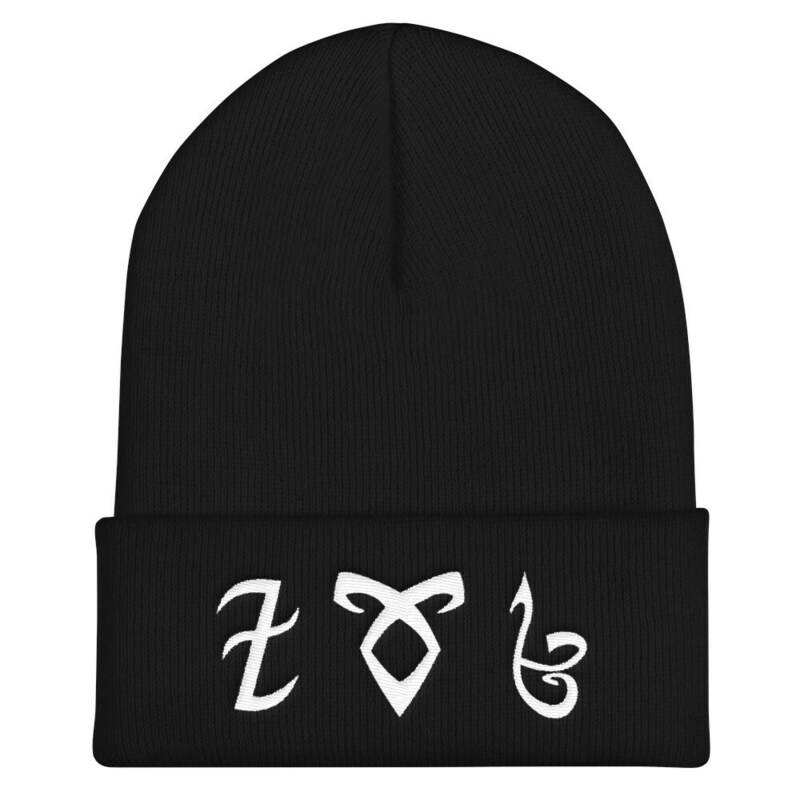 Show your love for The Shadowhunter Chronicles with our snug form-fitting cuffed beanie. Available in black and navy. The design is applied with embroidery! 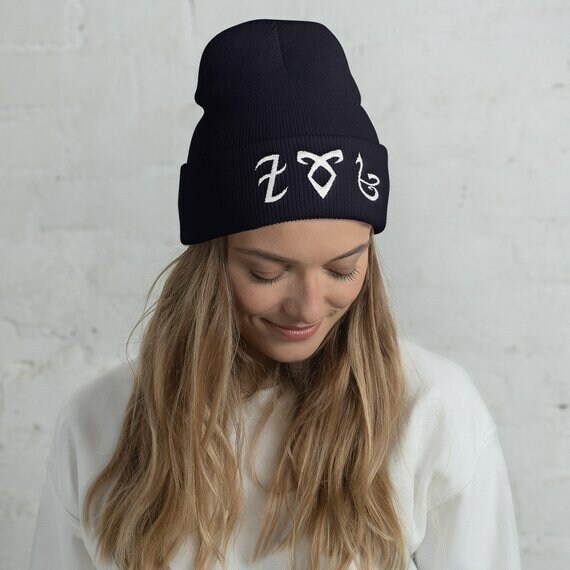 This beanie makes the perfect gift for the book lovers in your life. Buy as shown in the photos: Deflect/Block, Angelic Power and Strength. 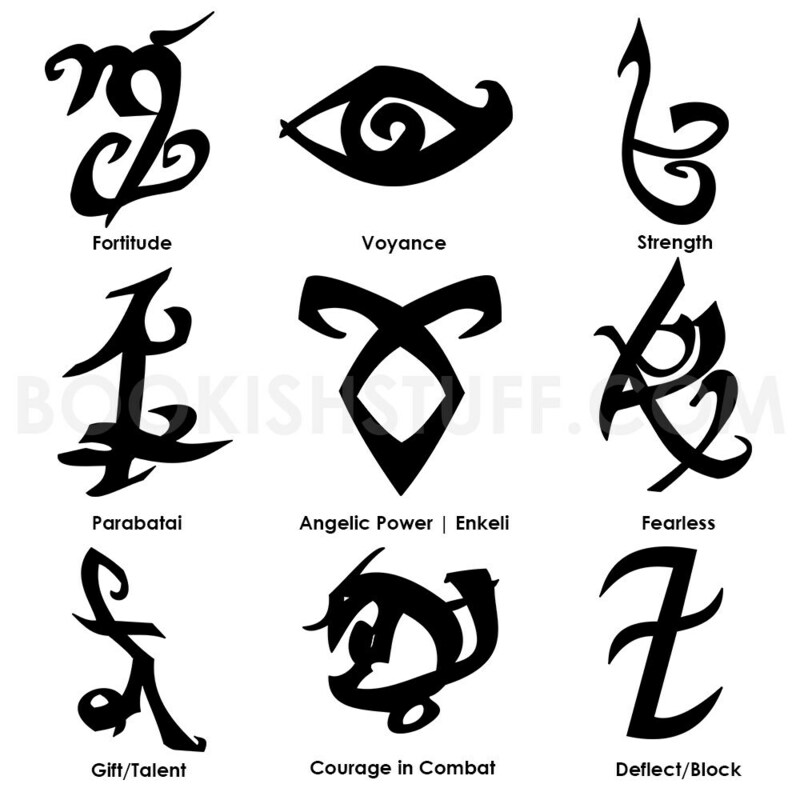 For $2 extra you can use the "Add your personalization" box below to enter the three names of the runes you want. Please enter them in order of placement from left to right (check photo section for those available). 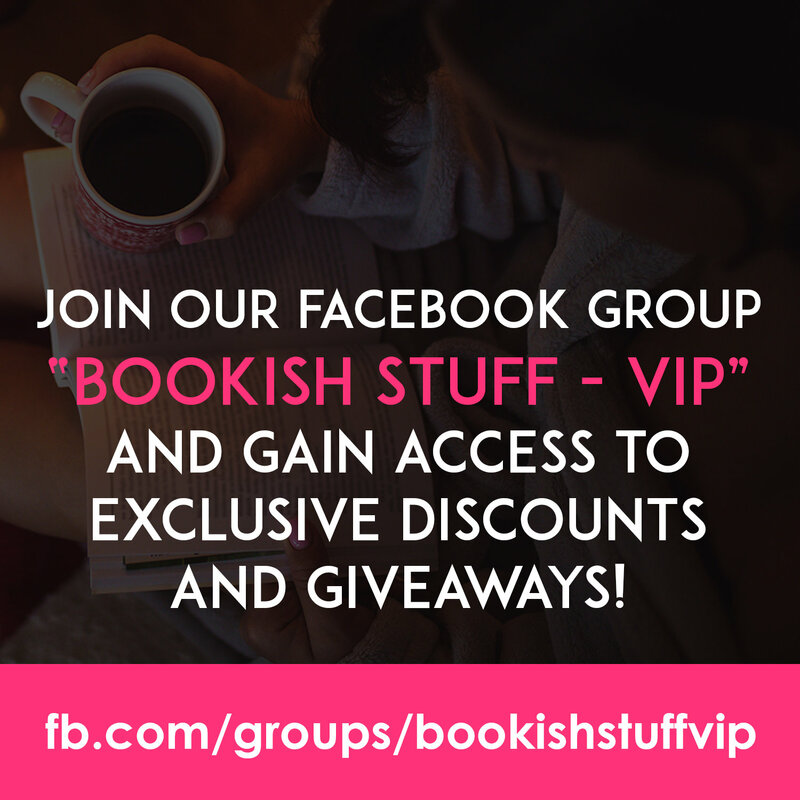 If you do NOT buy the "Personalized" option we and still enter details we will not process any personalization request entered with your order. Don't need personalization? just write N/A in the box.